McCarthy won election to the 105th Congress (1997–1999), resoundingly defeating Frisa by 54 to 38 percent of the vote. She had tapped into a cross-over vote, composed of many Republican middle-class women, who propelled her into office.8 In 1998, McCarthy held off Republican Gregory R. Becker in a close election, capturing a plurality of 48 percent of the vote, just enough to hold off Becker’s 43 percent which drew from conservative and right-to-life groups. In a 2000 rematch against Becker, McCarthy enjoyed a much more comfortable winning margin, 54 to 35 percent. 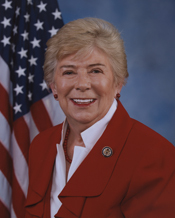 In 2003, McCarthy joined the Democratic Steering Committee and was named an assistant whip.22 She likened the whip position to her previous career as a nurse, equating vote counting with recording the temperature of a patient.23 During the 113th Congress (2013–2015), she served as Vice-Chair of the House Gun Violence Prevention Force. McCarthy rejected criticism that she was focused on gun control at the expense of other pressing matters for her district. “There’s no such thing as a woman having just one issue,” she said. “And I think I proved that.”24 After trading in her assignment on the Small Business Committee for one term on the powerful Budget Committee during the 107th Congress (2001–2003), McCarthy left that post to take a position on the Financial Services Committee in the 108th Congress (2003–2005), where she remained for the rest of her career. After being diagnosed with lung cancer and receiving treatment in 2013, McCarthy announced that she would not stand for re-election at the end of the 113th Congress.34 She retired in early 2015 at the conclusion of that term. 1Dan Barry, “L.I. Widow’s Story: Next Stop, Washington,” 7 November 1996, New York Times: A1. 2“Carolyn McCarthy,” in Newsmakers: The People Behind Today’s Headlines, ed. Terrie M. Rooney (Detroit: Gale, 1998): 349. 3Larry Neumeister, “Woman Elected Who Lost Spouse in Rail Killings,” 6 November 1996, Philadelphia Inquirer: A17. 4Peter Marks, “From One Woman’s Tragedy, the Making of an Advocate,” 18 August 1994, New York Times: A1. 5McCarthy did not register as a Democrat until 2003. See, “Newsday Rates Long Island’s Representatives,” 6 June 2004, Newsday: A60. 10Dan Barry, “An Icon Goes to Washington,” 22 June 1997, New York Times Magazine: 20. 11Almanac of American Politics, 2010 (Washington, D.C.: National Journal Inc., 2009): 1042. 12Congressional Record, House, 110th Cong., 1st sess. (13 June 2007): 15677. 13Dan Barry, “An Icon Goes to Washington,” 22 June 1997, New York Times: 20. 14Jim Vandehei, “Companies: Republican Lawmakers Fire a Shot At Clinton's Pact With Gun Maker,” 18 May 2000, Wall Street Journal: 4. 15Colin Campbell, “Carolyn McCarthy Makes Impassioned Plea for New Assault Weapon Ban,” 24 January 2013, New York Observer, at http://www.observer.com (accessed 20 October 2016). 16Jacqueline Palank and Ian Urbina, “House Votes to Bolster Database on Gun Buyers,” 14 June 2007, New York Times: A20; Elizabeth Williamson and Brigid Schulte, “Congress Passes Bill to Stop Mentally Ill from Getting Guns,” 20 December 2007, Washington Post: A12. 17Ed O’Keefe, “Carolyn McCarthy, Public Face of the Gun Control Movement, is Leaving Congress,” 5 December 2014, Washington Post, at http://www.washingtonpost.com (accessed 20 October 2016). 18Press Release, Office of Carolyn McCarthy, “Rep. McCarthy on NRA Response to Elementary School Shooting: Saddened but Committed,” 21 December 2012. 20Politics in America, 2006 (Washington, D.C.: Congressional Quarterly Inc., 2005): 703; Politics in America, 2008 (Washington, D.C.: Congressional Quarterly Inc., 2007): 690; Politics in America, 2014 (Washington, D.C.: CQ-Roll Call, Inc., 2013): 674. 21“The Juvenile Justice and Delinquency Prevention Act,” Hearing before the Subcommittee on Healthy Families and Communities, Committee on Education and Labor, U.S. House of Representatives, 110th Congress, 1st sess., Washington, D.C., 18 September 2007. 22Elaine S. Povich, “NY Democrats Rise in House,” 10 January 2003, Newsday: A46. 25Public Law 110-343, 3 October 2008; Politics in America, 2010 (Washington, D.C.: Congressional Quarterly Inc., 2009): 692. 26H.R. 1518, 111th Cong., 1st sess., 16 March 2009. 27Public Law 111-226, 10 August 2010. 28Public Law 111-203, 21 July 2010; Elizabeth Moore and Sophia Chang, “Tough Talk and a Call for Support,” 23 April 2010, Newsday: A6. 29Politics in America, 2010: 692; Kenneth R. Bazinet, “House Extends $29B Homeowner Lifeline,” 24 July 2008, New York Daily News: 14. 31Politics in America, 2010: 692. 32Public Law 111-13, 21 April 2009; David M. Herszenhorn, “House Passes Expansion of Programs for Service,” 19 March 2009, New York Times: A14. 33Public Law 111-19, 12 May 2009. 34Sarah Wheaton, “Two House Democrats Announce Retirement,” 8 January 2014, New York Times: A13. Papers: 1982-2015, 104 linear feet. The Carolyn McCarthy papers represent the life and work of Carolyn McCarthy throughout her 18 years in congress. The papers include but are not limited to photographs, congressional correspondences, press clippings, office files, press releases, campaign material, research booklets, video recordings, plaques, 2 trophies, and books. These materials span the Congresswomen’s entire career. Particularly noteworthy items include 150 awards given to McCarthy and 200 video recordings that feature her. A finding aid is available in the repository and online. "Carolyn McCarthy" in Women in Congress, 1917-2006. Prepared under the direction of the Committee on House Administration by the Office of History & Preservation, U. S. House of Representatives. Washington: Government Printing Office, 2006.